OnePlus, OPPO and Vivo are linked to each other by the Chinese holding company BBK and often share technologies and component suppliers. OPPO and OnePlus in particular have a long history of ‘coincidental’ similarities when it comes to their camera components. Following this trend and the most recent leak, we can safely say that we’ve already done some comprehensive tests with the OnePlus 6 camera before the smartphone has even reached the market! The new OnePlus flagship killer is coming and you’ll certainly be curious to know how it handles its cameras. 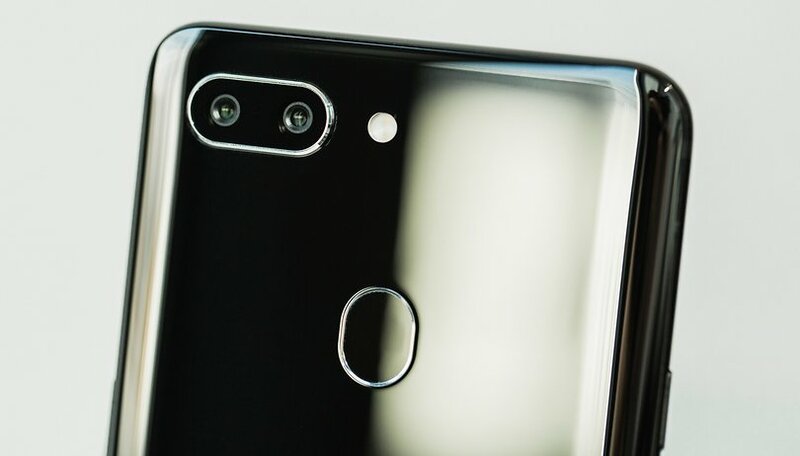 The latest leaks indicate the use of a 20 megapixel sensor capable of 2x zooming, whereas the main sensor has 16 megapixels, and is made by Sony known and known as the IMX519. Both lenses have an f/1.7 aperture. Can you guess what device uses the same photo sensor? That’s right, the OPPO R15 Pro! As history shows, the two companies have often shared the technologies behind their smartphone cameras. The OPPO R9 and OnePlus 3 shared the same sensor, a Sony IMX298. The OnePlus 3T wasn’t upgraded from there, while the OPPO R9S used a newer sensor called IMX398. This same sensor was later used by the next generation of smartphones, the OPPO R11 and OnePlus 5, which also have the same secondary sensor, a Sony IMX350. The OnePlus 5T and OPPO R11S once again retain the same IMX398 as their primary sensor, but the 5T utilizes a new secondary sensor (it’s not relevant for our analysis, but it’s the Sony IMX376K). And this brings us back to the rumors about the OnePlus 6 that are indicating an IMX519 for its main sensor, the same one used in the OPPO R15 and R15 Pro. I’ve been using the camera on the OPPO R15 Pro beginning with my trip to China. I was able to take many pictures in different conditions, ranging from full sunlight to dark rooms to an indoor arena for a concert. I have to say that I’m fighting for better results. The combination of a 16 megapixel main sensor and a 20 megapixel secondary sensor (both with an f/1.7 focal aperture) works well. The option of being able to zoom with little loss in quality is useful, as we’ve already seen in other smartphone models. The bokeh effect also benefits from this configuration. The shutter speed is remarkable, even in HDR mode. The device doesn’t come with optical stabilization, so in low lighting situations you’ll need to have a very steady hand to get stable shots. At first glance, the photos look perfect, full of detail and with the colors and exposure automatically coming out correctly. OPPO worked with Sony to create this new IMX519 and the results come out really well on every occasion. The photos are pleasant to look at on a smartphone display and certainly won’t disappoint you if you post them on social media such as Instagram or Facebook. If you look at the pictures on a big TV screen in your living room or on your PC, you can see that there are a strange mix of fine details and other details that are completely ruined by too much post-processing. After discussing this with our photo expert Stefan, we agreed upon one thing: the sensor seems to do its job really well, the problem seems to lie in the software processing that OPPO runs for the shots. …the software makes a big difference! The camera app is complete, runs well, and features many shooting modes. There are beauty features and AR stickers are very popular in China. There’s the classic bokeh mode, panorama mode and a manual mode that doesn’t save photos in RAW format. Your smartphone can automatically recognize the subject and scene for a total of 120 different shooting settings based on what the smartphone can recognize. This software seems to be what’s causing the flaws that both my colleague and I noticed in the shots. HDR mode generally seems to do a good job, but it can introduce very unpleasant effects and make your photos unusable. It also seems that OPPO software tends to try to increase details too much (over sharpening) or eliminate them altogether, as it believes them to be imperfections, which actually flattens many of the areas photographed and loses the shades of color caused by shadows. By taking pictures with Camera FV-5 app, we certainly got better results, which confirmed that the sensor is in fact quite good. If the OnePlus 6 does in fact use the photo sensor of this OPPO R15 Pro, I’m sure you’ll be satisfied as long as the OnePlus software continues in the direction it has taken in recent years. OPPO has certainly gone too far with the post-processing of shots and the introduction of features such as AR stickers and beauty filters certainly aren’t essential in the market. Thus far, OnePlus has used simpler and more effective software that could certainly get the most out of Sony's IMX519 sensor. I will buy the OnePlus 6 regardless of the quality of the camera. What do you think about the camera results? Do you think OnePlus can do better with this sensor? Chiniese need to get rid of android and start developing their own better systems. OIS anyone. The one plus never used it. Deal breaker plus the notch = no buy! More engineering fail. Is anyone surprised?